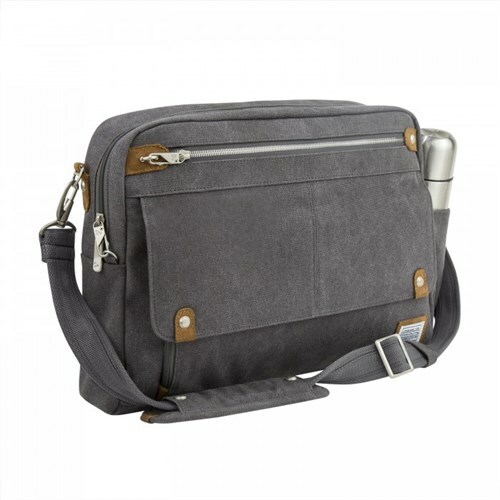 The Travelon Heritage Messenger Briefcase is a bag made from durable cotton canvas with a soft, worn touch, rich suede and matte nickel hardware that gets better with age. Roomy main compartment with padded pocket for a laptop, a zippered RFID blocking pocket, and an open top wall pocket. Intelligent organization, comfortable to carry and anti-theft features make it an everyday companion bag. 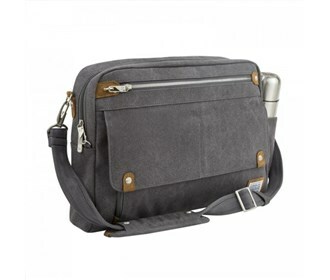 The Travelon Anti-Theft Heritage Messenger Briefcase has many exciting features for users of all types. You can extend the lifetime of your Travelon Anti-Theft Heritage Messenger Briefcase with the purchase of a FactoryOutletStore Factory Protection Plan. See the Travelon Anti-Theft Heritage Messenger Briefcase product video above for more details. The Travelon Anti-Theft Heritage Messenger Briefcase is sold as a Brand New Unopened Item.